Click the previews below to see the full designs! Every bathroom or luxury kitchen design starts with an idea. From that idea, our team of Atlanta custom cabinetry and remodeling specialists at Berkeley Woodworking Inc. can then create a plan. This plan will be the foundation used for the whole project. Our plans will include detailed floor plans, elevation drawings, and 3D perspective drawings of the space or room that we will be working in. 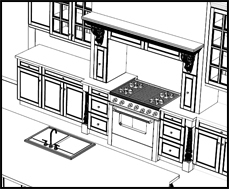 The floor plan will have wall dimensions, window and door locations, the layout of the cabinetry, locations of the appliances, countertop dimensions, and clearances. 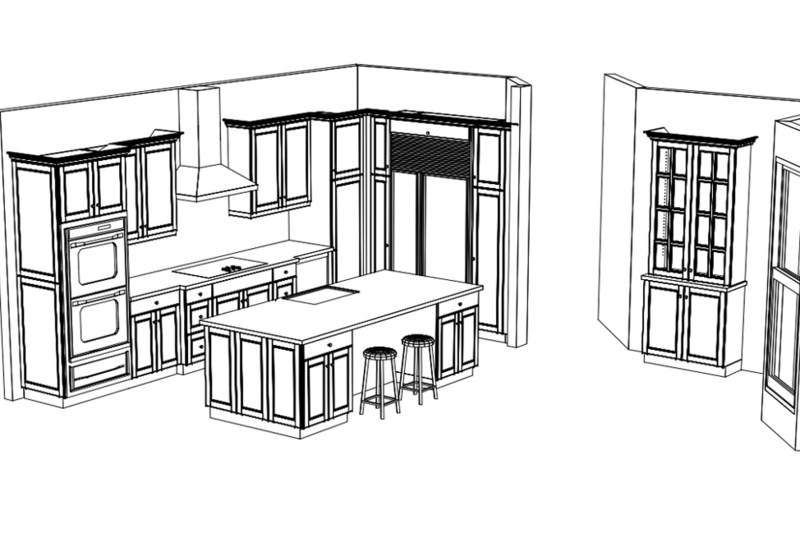 The elevation plan will show a frontal view of each wall along with the cabinetry. 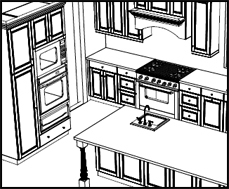 The 3D perspective drawings will give you a glimpse of what the completed room will look like. At Berkeley Woodworking Inc., we are committed to helping clients put their ideas on paper. 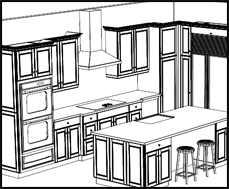 Begin the process by meeting with one of our specialists in kitchen design in Norcross, GA, to discuss your goals. 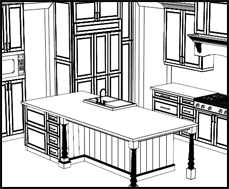 Whether you wish to renovate your kitchen, bath, or another room, we can help you put your vision to pen and ink and then work to make those plans a reality. From day one, our team of designers, craftsmen, and installers will strive to exceed your expectations and deliver the product you want in an organized, neat, and timely fashion. 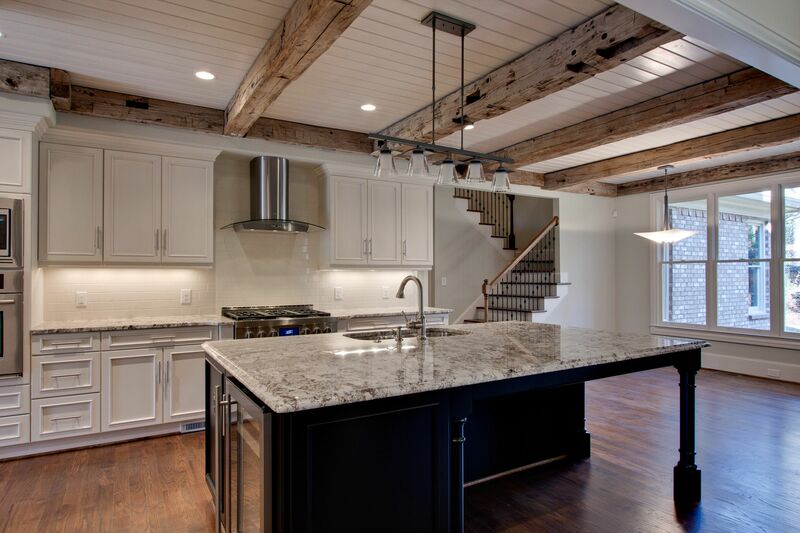 Our custom cabinetry and professional remodeling specialists have been serving Atlanta residents since 1978. If you’re looking for the best kitchen remodels, call Berkeley Woodworking, Inc. today and schedule an appointment to visit our showroom!